Philippe Starck Flos Bedside Gun Lamp (Color: Gold) - Flos Gun Lamp Bedside Light by Philippe Starck plated in 18K gold. 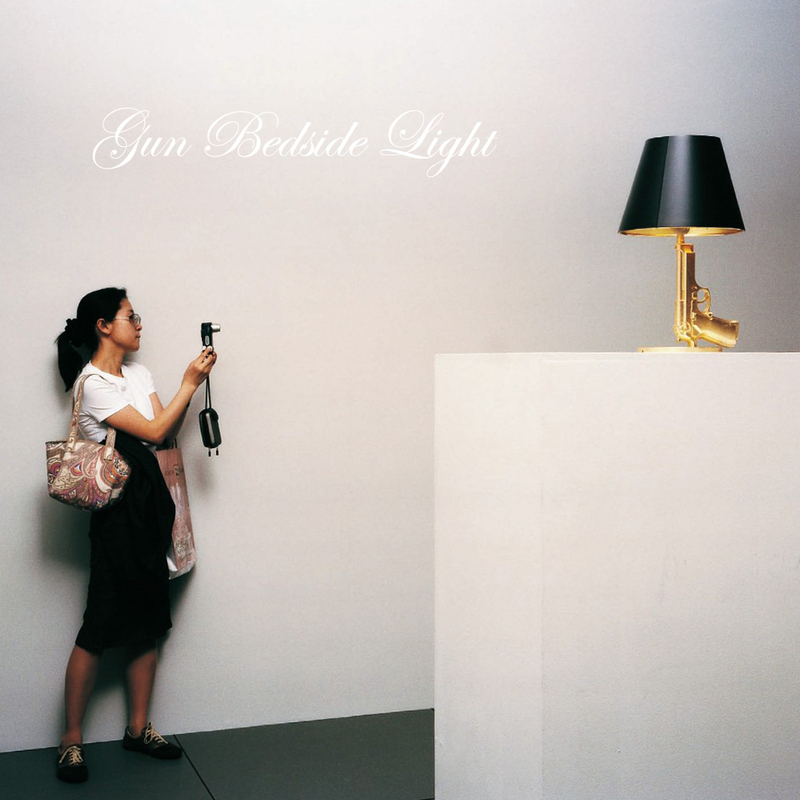 The Flos Bedside Gun Lamp was designed by Philippe Starck for Flos. 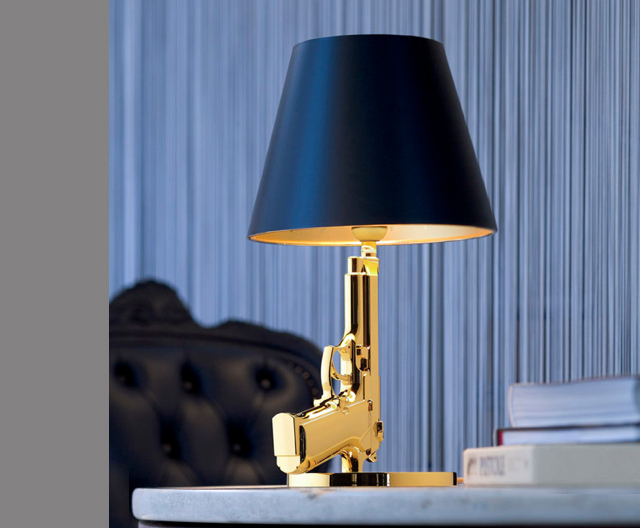 The jaw-dropping over-the-top brilliant Gun Lamp Collection by Philippe Starck is the talk of the town! This amazing Starck Gun Lamp collection was designed by Philippe Starck to spur debate between the collusion of war and money. The black shade signifies death. The crosses inside the shade are to remind us of our dead ones. 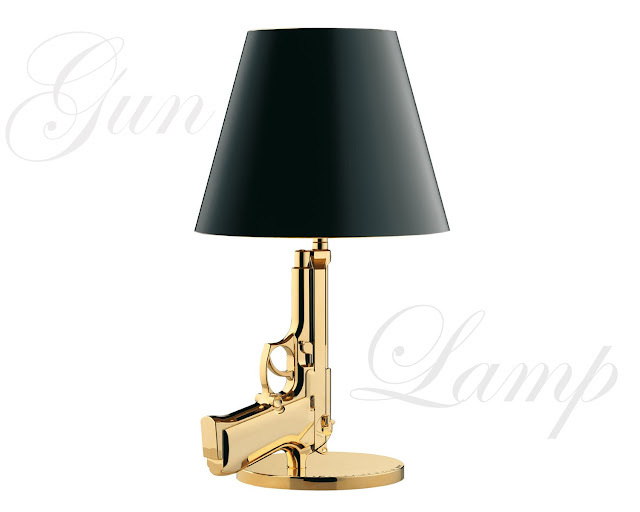 The Flos Bedside Gun Lamp by Philippe Starck was designed after a Beretta Pistol Hand Gun. Its die-cast aluminum stem is layered with a posh gold plated finish in 18K gold. Its diffuser is a matt black plasticized paper with gold silk screen printing inside featuring a subtle cross decoration. 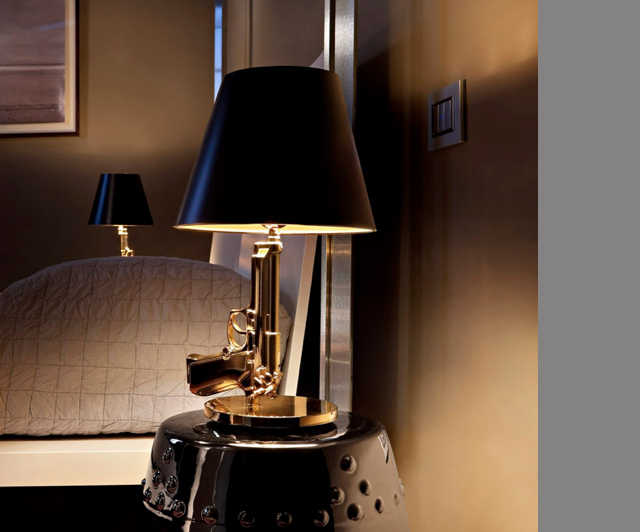 The bedside lamp is also available in a chrome finish.